I know a lot of the time I fret much too much about what I will use to film something, or how I will go about filming something and I completely miss the point. Filming the darn thing. Well, its a new year so I will have the opportunity to reform my filmmaking behavior. 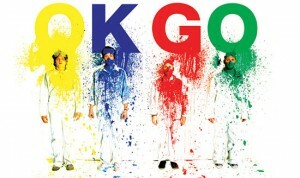 I love OK Go’s videos. Thats so weird because I was showing my friend these last night because of their production and then next thing I know theyre on this website! Syncronicity!